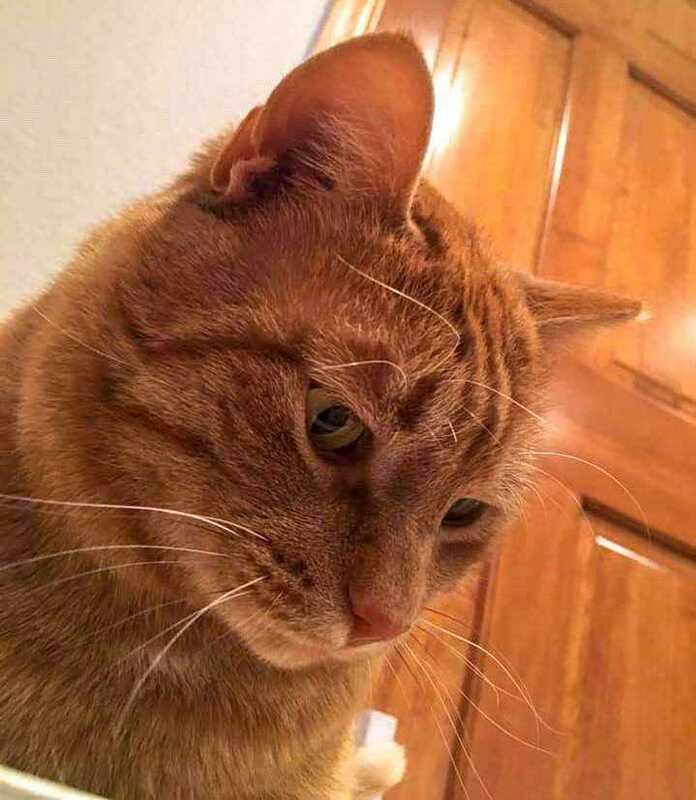 Orange male tabby seeking forever love! Hi, I’m OC and I was told you should hear the most important part first, so there it is. I’m an adult, but not really not sure how old I am. You see, I used to have a family. They moved and forgot me and forgot to leave my stuff, so I don’t have my ID to prove my age. I know, bummer, but then my life improved a bunch. Demi’s Animal Rescue TNR program found me and figured out I wasn’t really a “wild boy”, jut a “lost boy”. I have the AWESOME ORANGE BOY gene that makes me sweet and mellow. Even when I was new to Demi’s and they thought I was feral, I still liked to be pet and was never aggressive. That’s how they figured out I need to be in a home, not just sheltered outside. Full disclosure – I am shy at first. I have to learn to trust new people. Once I do, I happily accept (read: really love) head scratches while I sit next to someone. Even though I’m not big on being picked up, I have learned hanging out is quite enjoyable. I get along well with other friendly cats and kittens. Maybe someone has young cats that need an uncle? I could use a job and can teach them about proper cat life. I would probably flourish if I have a companion cat(s) to keep company with.